I am looking for the proverbial needle in a haystack. 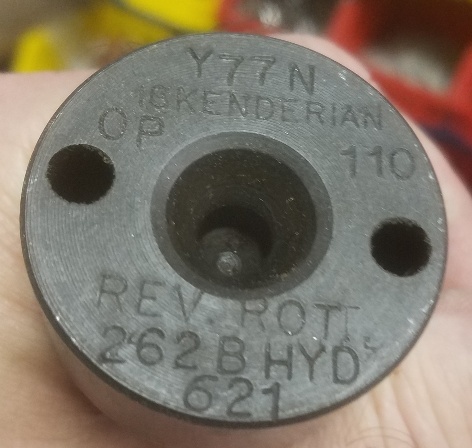 I need a reverse rotation camshaft and compatible distributor, for an Oldsmobile aluminum 215 cubic inch V8, and any other items that I am not aware of needed to install the Olds engine in my Corvair. I have the adapter and clutch/flywheel. Edited 1 time(s). Last edit at 01/29/2019 11:42AM by MattNall. I've heard this done once. The work needed was far from trivial and a fair degree of custom work was required. I believe the camshaft was 100% custom. The seals to handle the reversed rotation were also needed to be sourced. If I'm remembering correctly the engine decades later it developed serious issues and was replaced by a 4.3 V6, where all the parts were off the shelf thanks to marine applications. I have an Olds, reverse rotation, V8 in my '66. In addition to the adapter and custom flywheel, as you know, you need the rev-rot camshaft but you also need a reverse distributor drive gear set. Jim Briggs of Ventura California made a batch about 10 years ago; he may have some left. 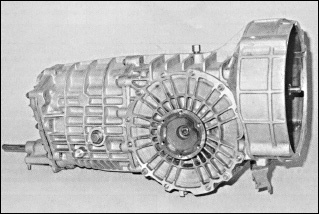 The required distributor is basically stock except for a small modification to handle up-thrust rather than down-thrust. You'll also need to add an oiler for the distributor gears and modify the belt drive system to turn the water pump the right way and a reverse fan for the alternator. Of course the pistons need to be turned 180 so the pin offset is on the opposite side. 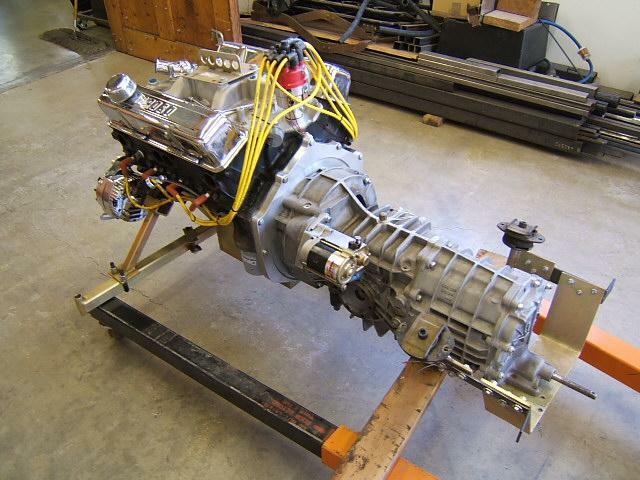 If I had the budget, it would have been much simpler to use a Porsche transaxle and keep the normal engine rotation. The 4-speed trans from a Porsche 930 is ideal since you definitely don't need 5-speeds. With my Corvair trans, I skip 2nd and just go 1-3-4. Skipping 2nd isn't even noticeable. At one time Dave Stratland in the Los Angeles, CA Corsa West club had such a car. He MIGHT be of some help. Note the Old's engine used different heads (with one more bolt) vs. the Buick engine. The Buick engine ended up being built and used by Land Rover for many years. Sadly a lot of these Olds/Buick aluminum engines were not maintained and developed block corrosion issues. A good inspection is advised. 930 "turbo" four speed Craig mentioned. Is stronger than the average 915 five speed. Plus the fourth gear is an overdrive ratio. Also shorter overall and will fit better. But all things Porsche are bigger bucks. A few years ago the 930 was running $6K. I have an extra 215 Rev-Rot camshaft. Great condition. PM if interested. There's plenty of 'Rover' V8's knocking around and lots of performance parts too. They only stopped making this engine a few years ago. It's been a staple of modding cars in the UK for many years. The 4.3 is reversed by all off the shelf parts but the pistons and rods all have to be moved from side to side. Have one in my 66 and is do smooth and runs strong. The 4.3 is a 86 with an aluminum intake and Q jet. Running a PG because I am old and don't want to shift gears. LOL. > so, please advise from whom you ordered it. Suspect he is talking about a 4.3 Chevy V6. Corvarious, don't stop at 215 cubic inches. Take a 300 Buick crank, grind the mains down to fit the 215, bore the block 0.034 over, use Chevy 2.8 pistons, cut valve reliefs, and end up with 266 cubic inches. Could also use the 300 heads and get bigger valves, but the compression might be too high with flat top pistons. parts is using a Porsche gearbox. parked and the parts search begins again.